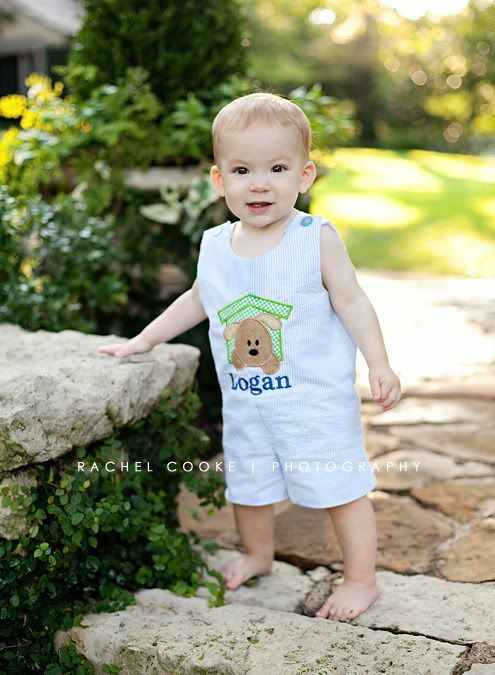 Logan has reached the 1 year milestone. 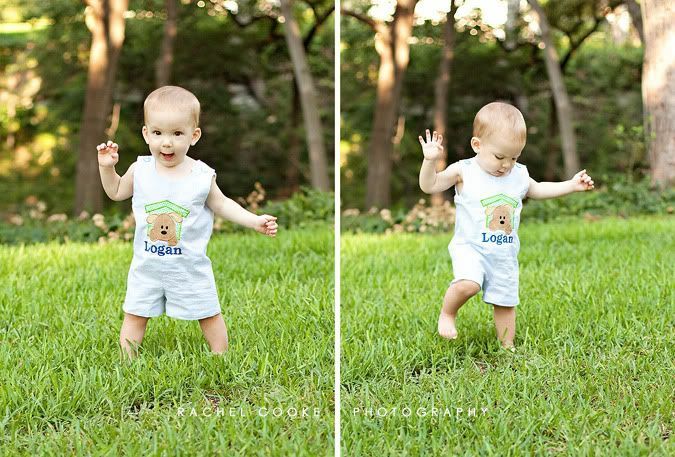 And just like his brother, he took off walking right around his first birthday. It always amazes me that kids (at least both of my boys) take a couple of steps one day, and the next day they're walking all over the place. It's as if they just need to get a little confidence and then nothing can stop them! 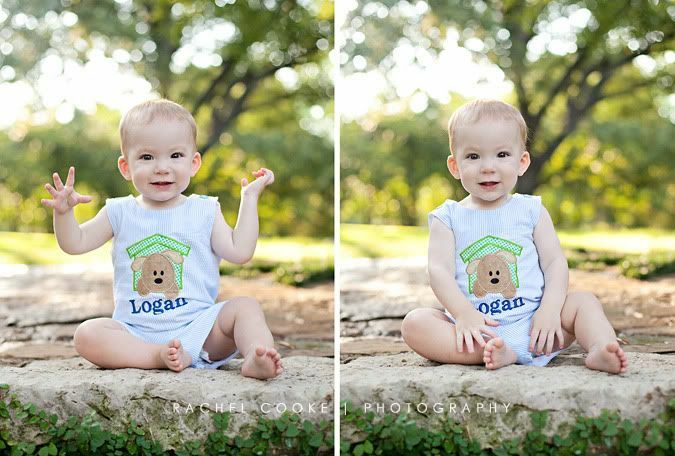 The absolute funniest thing about Logan walking is that he laughs and squeals the whole time. He is still so thrilled that he can walk he can hardly stand it. It's super-cute to watch. 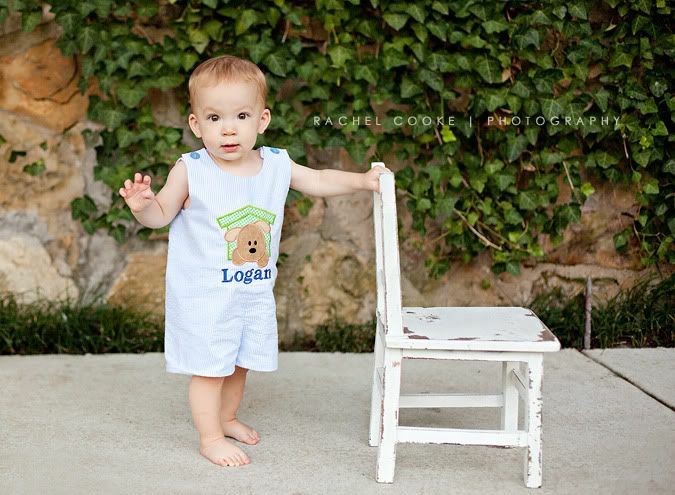 Logan is a good 3 pounds lighter than Ethan was at one year. I can tell because all of Ethan's one year clothes are too big on him! 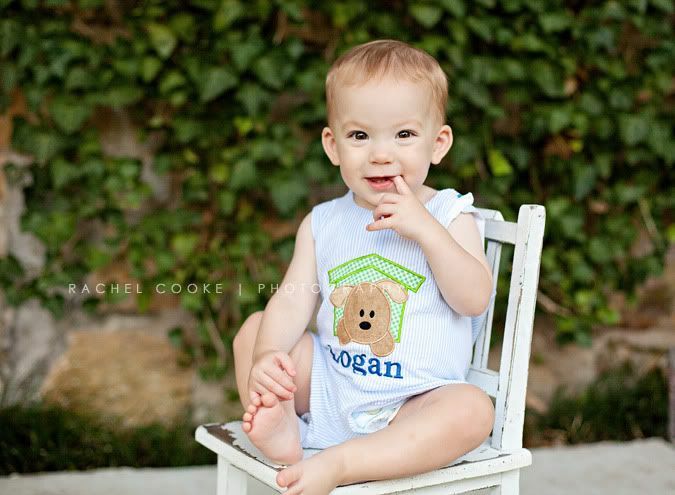 Logan showed signs of getting his top two teeth around his first birthday, too. And now, they've poked through. His smile is so different now, but so incredibly cute. I can't even explain how this child's perennial smile and laughter totally makes my day. Every day. He is a sweet little love, for sure. Once again, he is just adorable! I love his shiny brown eyes! He is such a joy and so lovable. 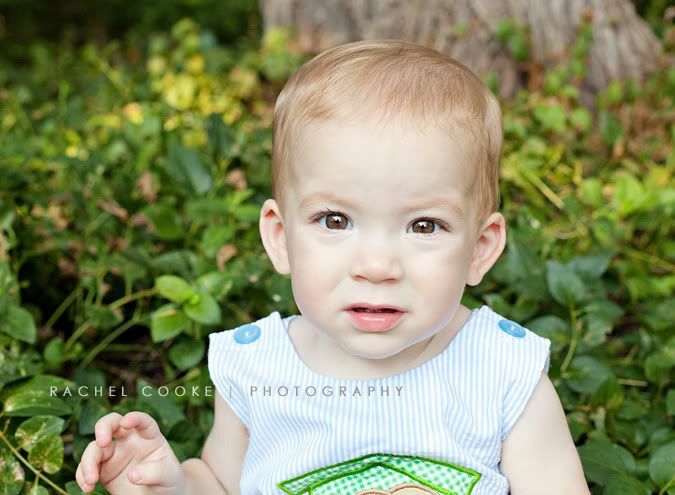 This baby is personality plus and just adorable!! He just melts my heart! Mimi loves you Loggie! 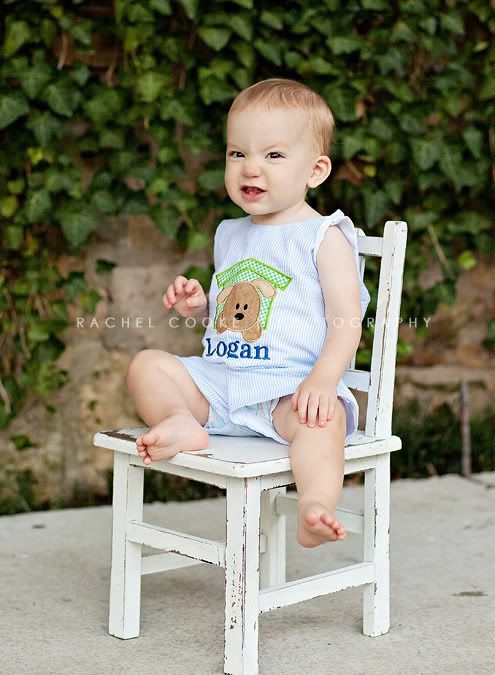 I loved watching Logan toddle around the nursery on Sunday! Such a cutie! !